1 August 1915, Max Immelmann of Germany scored his first kill while flying a Fokker Eindecker. 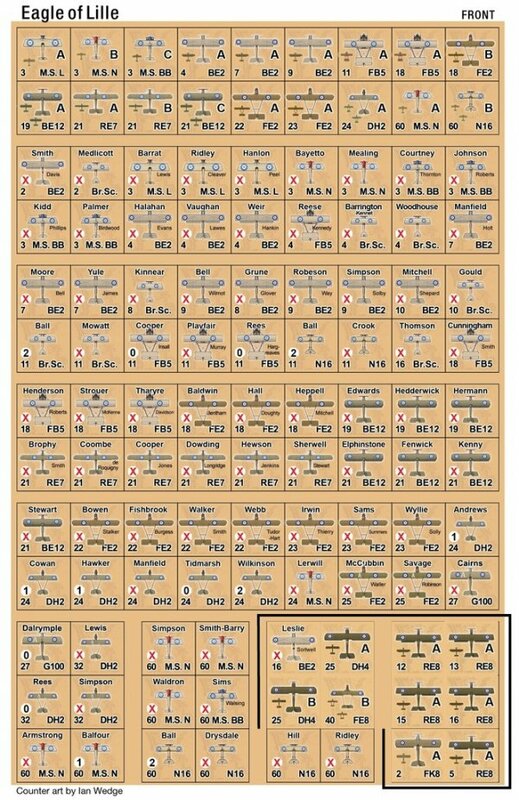 By 12 January 1916, the “Eagle of Lille”(as Immelmann was nicknamed) was awarded Germany’s highest award the coveted Pour Le Mérite or as it was commonly known “The Blue Max”. A new 8”x11” map extension adds the off-map aerodrome of Treizennes as a now playable area to fly. 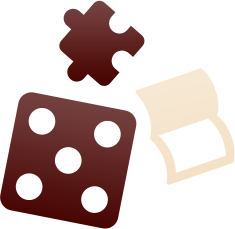 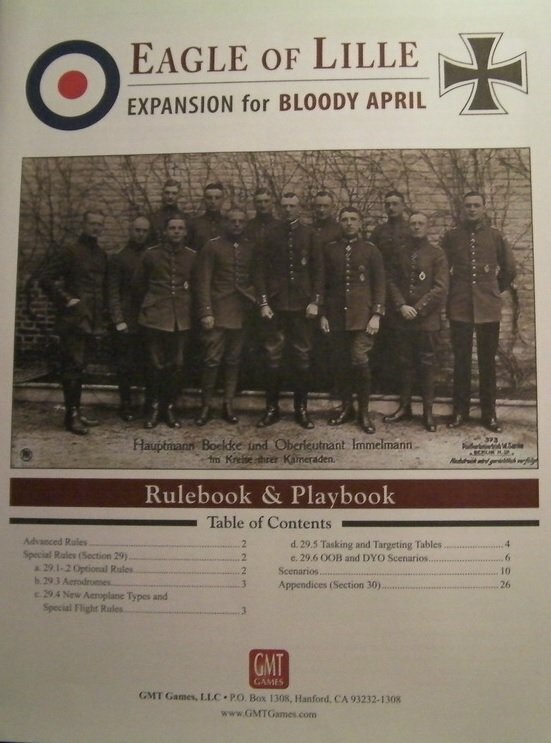 New Advanced rules for Bloody April such as Aeroplane Quick Turn and new rules for Eagle of Lille have been added. 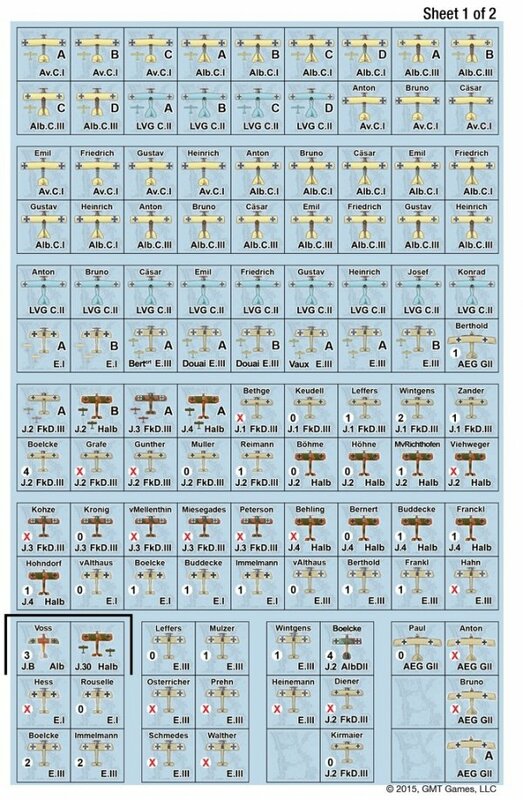 Two new counter sheets of aeroplanes and informational markers are included to round out this folio expansion. 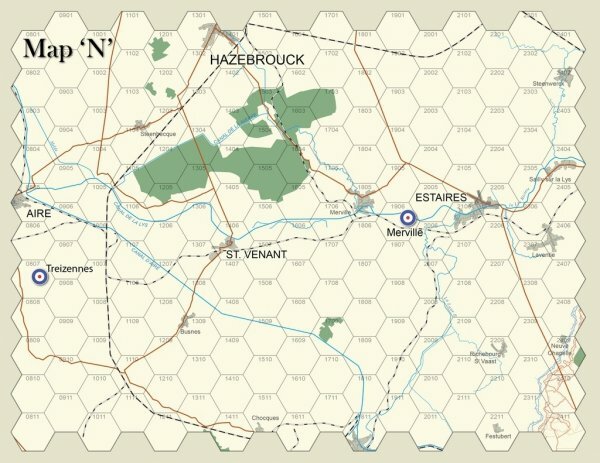 Take to the skies over France like never before and relive the battles that started air warfare as we know it today.